Congratulations to Robin Van Persie who last night won the PFA Player of the year. The award is rated very highly by players because the voters are their fellow professionals. The timing of the voting process is debatable and many say the writers award is better because the votes are in closer to the end of the season but to get an award where your fellow players have rated you as the best player in the league is a remarkable achievement. He was a clear favourite to most to win the award, considering he has scored against 17 teams this season! 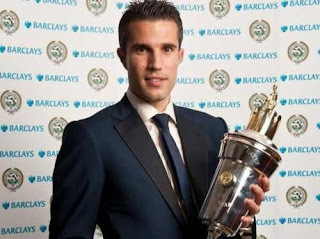 At times, he has carried Arsenal but Robin being Robin was quick to praise his team mates and some of the assists by Theo Walcott and Alex Song have been simply outstanding. Well done to the best player in the league and I hope his here at Arsenal for many years to come. Sorry about the lack of posts but while we were winning and everything was rosy, there was not much to say. As Mikel Arteta said on ‘our’ Sky interview before the Spurs game (which can be found on you tube, sorry had to be done!) if we win then everything is brighter and the clouds are higher etc. Winning is like a habit, and it’s a habit we got used too. Winning at Liverpool, Everton, Sunderland and Wolves along with beating Spurs, Newcastle and Man City at home was a joyous time. We lost to QPR but bounced back against City and now we need to bounce back against Chelsea after losing to Wigan. A win would be huge in the race for third and Spurs have a tough trip to QPR too and we know that can be a tough place to go. Another subject that I feel quite passionate about is Aaron Ramsey. I found it all a bit uncomfortable reading tweets after tweets of abuse and the usual groaning on Monday night once he had come on. I am used to players getting stick. After all, I have seen Theo Walcott (it’s all his fault!) and Andrey Arshavin play often enough but I really struggle to understand the stick Ramsey gets. He is a player out a form but that happens to every player does it not? 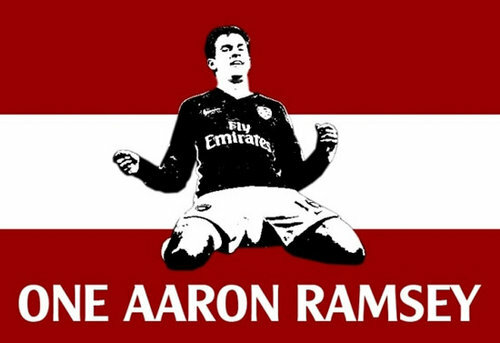 Ramsey is 21 years old; moved cities when he was young, broke his leg, was made captain of his country, had his national manager pass away who made him captain, played a lot of games at a young age and told to replace Cesc Fabregas! Anyone would struggle a bit! The injury to Jack Wilshere and the up and down form (Pre February) of Thomas Rosicky meant Ramsey was forced to play week and week out and that was tough for the young lad. He is a bright prospect and needs time and support. I hope he plays on Saturday and hope he plays well because for me, he always gives 100% when on the pitch and his work rate is outstanding. His been a bit unlucky and perhaps made the wrong choices in recent games in terms of the final ball but playing out on the left may not have helped him much either but he still deserves our support; after all, he is an Arsenal player and we are supporters.